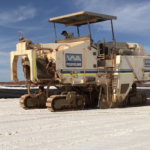 Kalium Lakes has signed a non-binding agreement with Germany-based KfW IPEX-Bank to receive $102 million of debt funding for the Beyondie sulphate of potash (SOP) project in the eastern Pilbara, Western Australia. The Beyondie project is expected to be one of the world’s lowest cost potash producers, with estimated costs of $US179–$207 ($252–$291) a tonne over a 30-year-plus mine life. By 2020, Kalium Lakes expects Beyondie to ramp up to a full-scale capacity of 164,000 tonnes a year. Kalium Lakes is currently the only company in Australia to secure the tenement requirements necessary for commercial production of SOP, which is used primarily as a fertiliser for growing crops. The debt funding is more promising news for Beyondie, which also received $74 million from the government-backed Northern Australia Infrastructure Facility (NAIF) in February. The $102 million in funding will be supported by Euler Hermes, which manages an export credit guarantee scheme in association with the German Government. Kalium Lakes managing director Brett Hazelden said Kalium Lakes was delighted with the support shown for Beyondie by both the German and Australian governments. 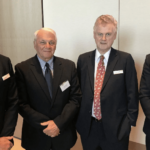 “With the support of NAIF, KfW IPEX-Bank, Euler Hermes, our investors, management and staff, the development of Australia’s first sulphate of potash production is now one step closer,” he said.